Worship is a lot like having a baby. Of course, I wouldn't know much about actually having a baby, other than being present while my wife did all the heavy lifting (so to speak). Maybe I should rephrase that first sentence: Worship should be like having a baby. 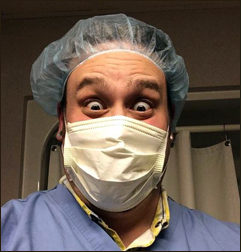 On the final day, as my last guitar chord was struck, John Wason (the incredible actor/storyteller and founder of Word to Life Theatre Arts) jumped to his feet and brought a powerful re-telling of Jesus' announcement of His ministry. What stood out to me -- aside from being moved and encouraged by John Wason's powerful storytelling approach -- was the whole idea of expectation, and how it plays into our experience of worship, the Word, and simply being together in a room full of fellow Jesus-followers. I'll be honest: as John began his re-enactment, I moved aside and was putting my guitar back into its case. Worship was "done". We were now going into "meeting mode". There were still some agenda items that needed to be covered that day. But as John continued with the story, something profound happened. Worship was still going on. But if I hadn't snapped back out of "meeting mode", I would have missed it. My sense of expectation needed retooling. Or more precisely, I needed to "repent" (re-think) about my mental and spiritual shift out of Worship Mode. God was still in the room; His Spirit didn't stop working just because the music was over. So, yes, worship should be like having a baby. No-one goes into a birthing room at the hospital with an attitude of "hey, you never know -- something significant might happen". On the contrary, there is a very real, very vibrant sense of expectancy. When we come together to worship -- in music but not limited to music -- we need to cultivate that same sense of expectancy. God is in the room. 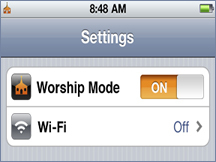 We just need to remember to choose "worship mode" at all times, and refuse to accept the paucity of "meeting mode".